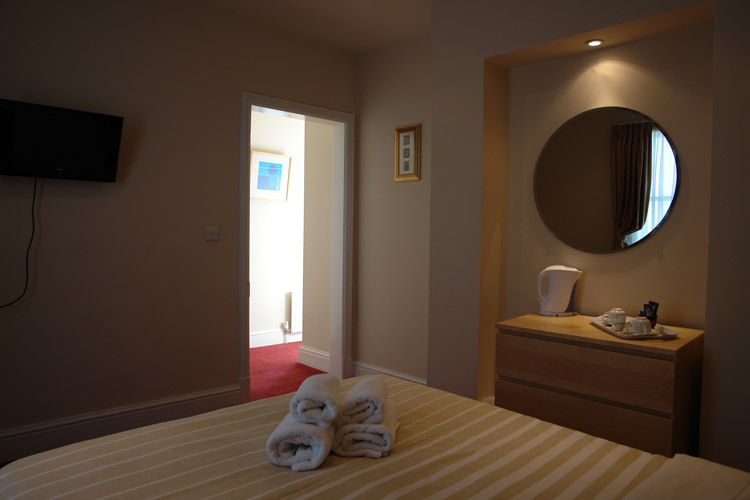 Moon and Sixpence Clevedon:- Room 5 is situated on the 1st floor at the rear of the building. 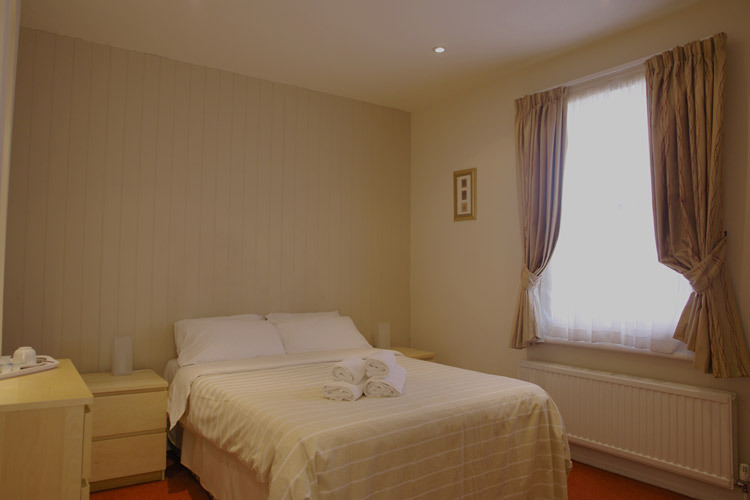 The room has a double bed with en-suite. The en-suite has a modern layout with a basin, toilet and shower. Family rooms can be facilitated on request. All rooms available from 2.30pm and must be vacated by 10.30pm. All rooms are smoke free.